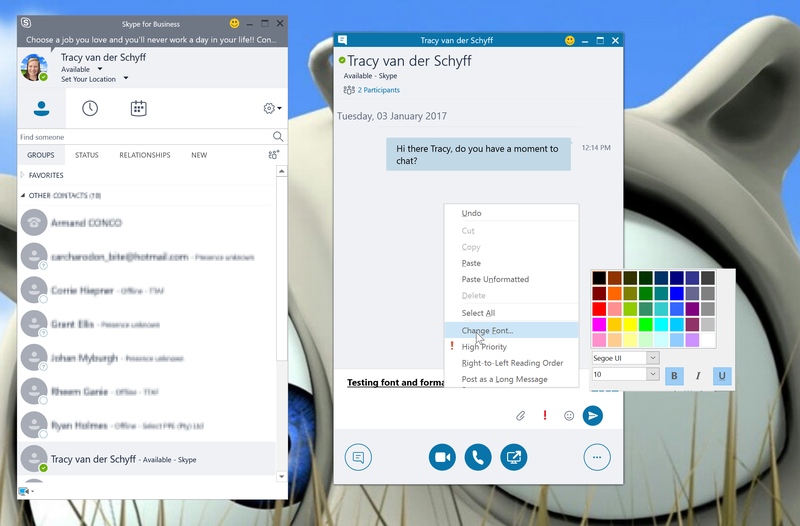 #Office365Challenge Now that we have the basics out of the way (menus and contacts), we’ll take a look at using Skype for Instant Messaging. 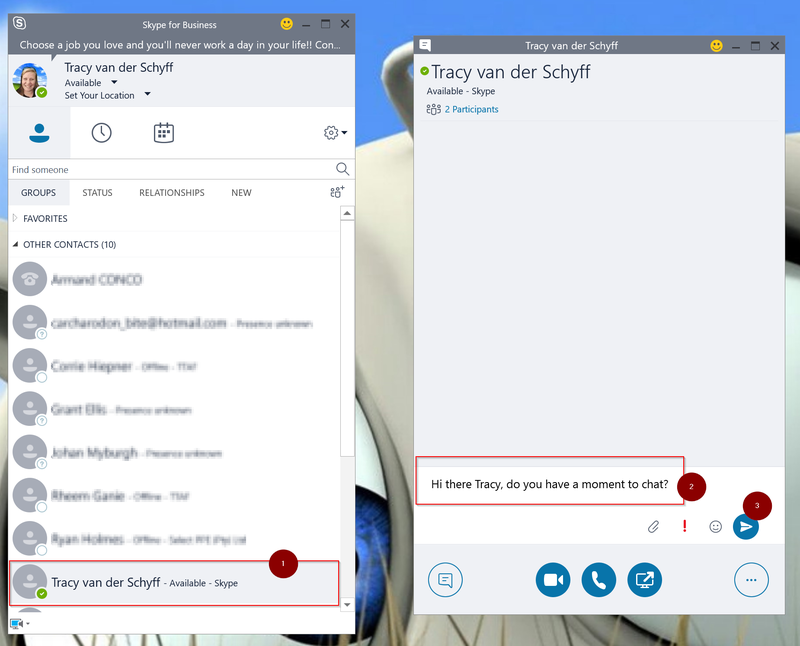 Related Posts: Skype for Business User Interface (I covered all buttons and menus to get you started) as well as Finding and Adding Contacts in Skype for Business where we covered the contacts. To attach a file is really easy, click on the paperclip, search for the file and attach. In the screenshot below you’ll see what it looks like when you send or receive files. You can also attach files by dragging them into the text box area. 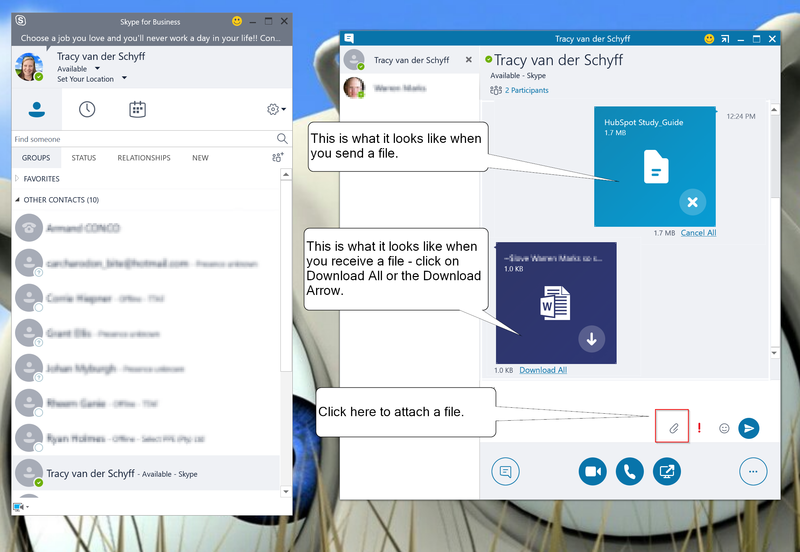 Note: I was not able to send files to normal Skype users from my Skype for business account. At any time you can change you Instant Message to a phone or video call by clicking on the buttons below the text box area. See you tomorrow when we’ll look at doing Audio and Video Calls with Skype for Business.